We have now released the last update that we plan to make to the 2nd edition of the “Office 365 for Exchange Professionals” eBook. This is not because we intend to leave the material to age gracefully (or not). Instead, we are starting work on the 3rd edition of the book. This edition should be available in late April or early May and will feature a lot of new material and updates covering anything from Delve Analytics to Office 365 Planner. We also plan to restructure the book. The content has grown substantially from the original edition released in May 2015 (615 pages) to its current 833 pages spanning some 322,000 words. We will therefore spend some time to remove redundant information and what we think of as being less useful content to allow us to fit new information in without creating a thousand-page monster. The fun fact I just found out is that we have 498 PowerShell examples in the book! 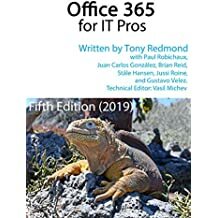 Although slightly irritating that we didn’t make a nice round 500, that’s quite a few illustrations of how to use PowerShell with Office 365. Free updates are available to those who bought the second edition through ExchangeServerPro.com. If you’re in this category, you’ll receive an email soon to tell you when the updated files are available to you. We have started the process to convince Amazon to make an update available to Kindle purchasers. Hopefully they will oblige us and make the update available in the near future. The following table lists the major areas that were updated for the 10-Feb-2016 update to the second edition. [We have since made a few minor changes and updated the release date to 17-Feb-2016]. 4 New section “Life after Hybrid” covering how to remove on-premises servers when they are no longer required. 7 New conversations view for Office 365 Groups in OWA (Figure 7-14). 7 Pointer included for example of how to use the REST-based API to explore Office 365 Groups data. In addition, some incorrect figure numbering in Chapter 14 has been rectified and a number of misspelt words and incorrect instances of formatting have been addressed. Update: Several minor changes have been made to the book since we released the Feb 10 set of changes. All are pretty inconsequential, but we like to keep on top of things. These changes keep pace with what’s happening inside Office 365 and increase the value of the book to our readers. At least, we like to think that is the case. This entry was posted in Cloud, Delve, Email, Exchange, Office 365, Office 365 Groups, SharePoint Online and tagged Delve, Exchange Online, Hybrid, Management, Migration, Office 365 book, Office 365 for Exchange Professionals, Operations, Planning and deployment, SharePoint Online, Skype for Business. Bookmark the permalink.